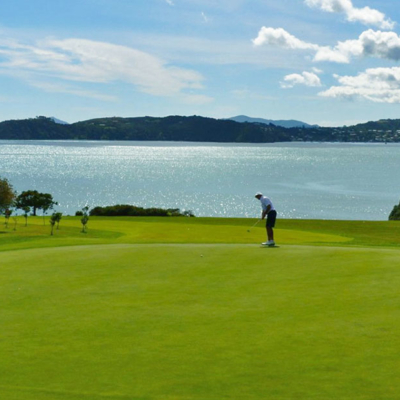 Golf Courses in the Bay of IslandsKauri Cliffs Golf Course, Waitangi Golf Course and Kerikeri Golf Course all of which are within easy reach of The Carriage House accommodation. 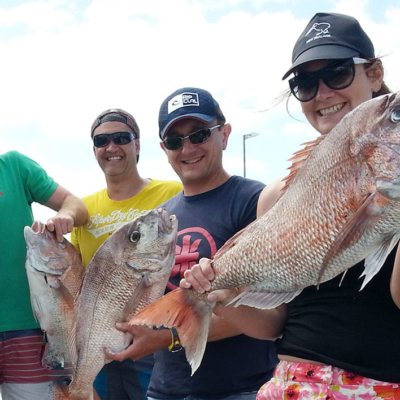 Fishing Charters in the Bay of IslandsGo fishing from the Kerikeri Inlet or book a fishing charter and try Big Gamefishing in the Bay of Islands. 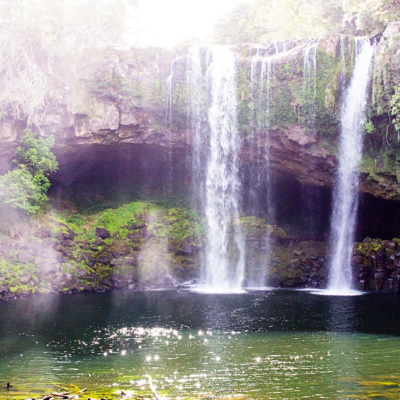 Rainbow Falls River Track - KerikeriWalk from the Stone Store to the stunning Rainbow Falls or visit the top of the falls from the Rainbow Falls carpark. Kauri ForestsPuketi Forest has an easy board walk through native bush to a magnificent stand of Kauri trees. 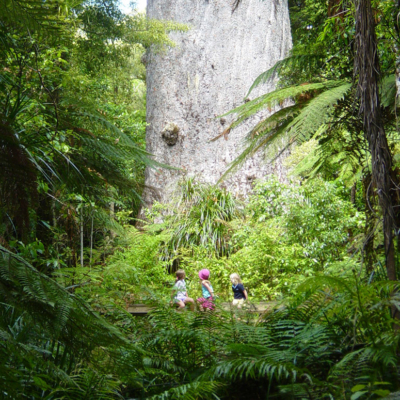 Or visit the mighty Tāne Mahuta Kauri tree in the Waipoua Forest on the West Coast. 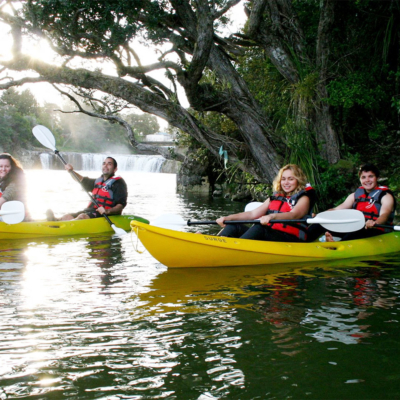 Kayaking Bay of IslandsKayak the Kerikeri River or take a guided kayaking tour from Paihia to the Haruru Falls. 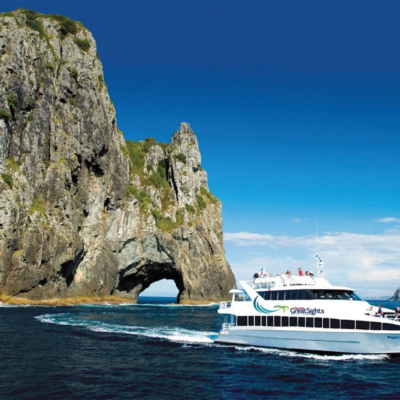 Northland VineyardsNorthland and the Bay of Islands is a well established wine growing region. Cellar doors and wine tours are available. 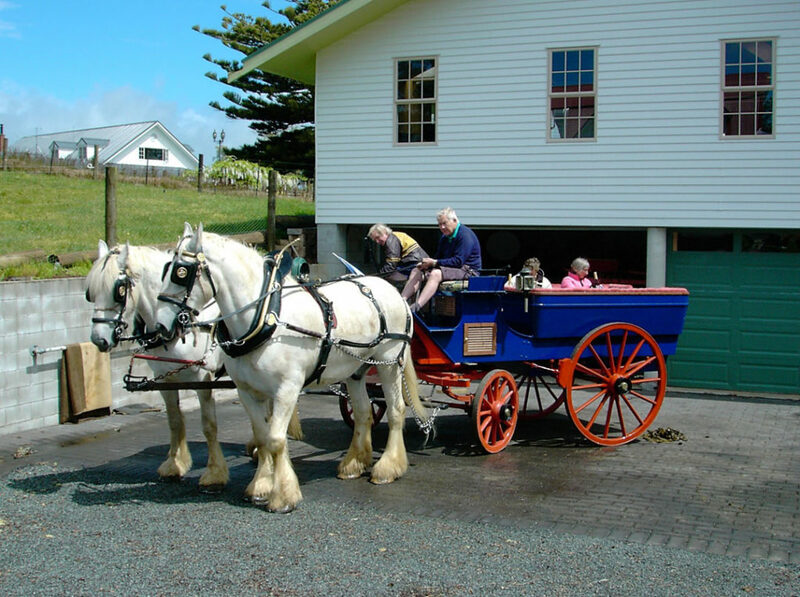 Visit the Stone Store – the oldest stone building in New Zealand completed in 1836 and the 1822 Kemp House Mission Station the oldest surviving building. 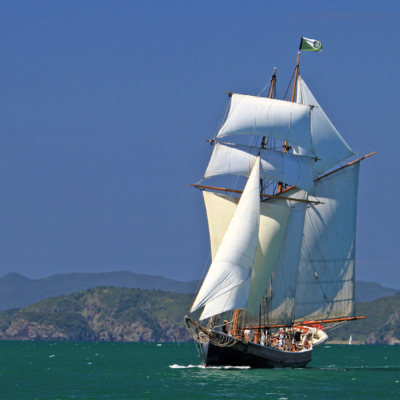 Discover Rewa’s Village opposite the Stone Store, a replica of a pre-European Māori fishing village. 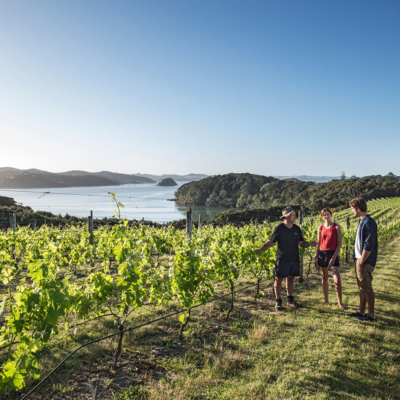 Northland is well established as a wine growing region. Kerikeri boutique vineyards with cellar door sales include Marsden Estate Winery and Restaurant, Cottle Hill, Ake Ake Vineyard and Restaurant, Kainui Road Vineyard. 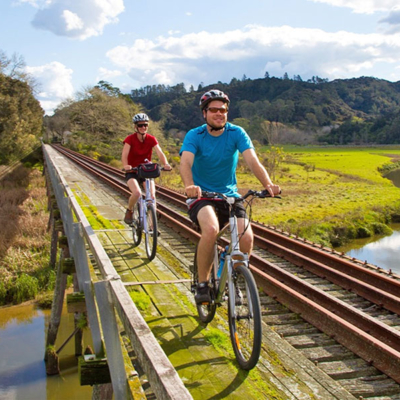 Kerikeri town is only 2 miles away from The Carriage House and has a wide selection of restaurants and cafes. 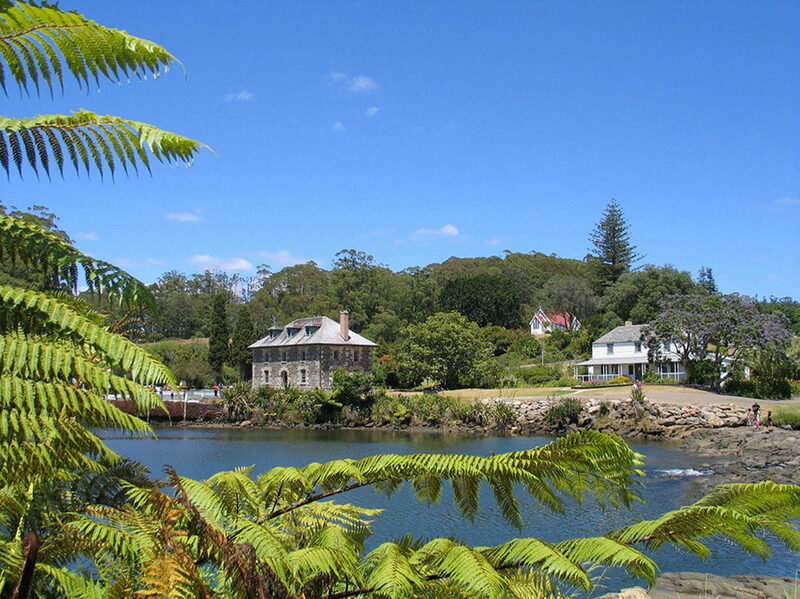 On the historic Kerikeri Waterfront Basin we recommend The Pear Tree Restaurant and just uphill from the Stone Store – Wharepuke Food. There are New World and Countdown supermarkets in Kerikeri. 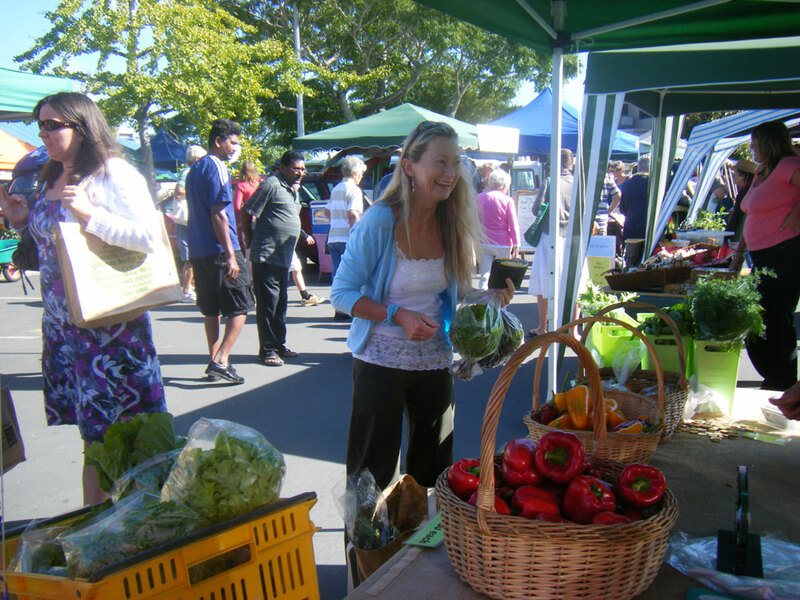 Visit The Old Packhouse Market on Saturday and the Sunday Farmer’s Market for a large selection of locally grown produce and gourmet food. The Turner Centre at Kerikeri has a weekly program of theatre and music. The Carriage House is set on a horse breeding farm with grazing horses seen from your balcony, young foals and gentle old shire horses pulling carts and wagons. A stud farm breeding Clydesdales, Shire horses and Piebald gypsy horses. The grey shire horses from the LION Brewery are the largest horses in New Zealand and are in daily work. They are very impressive and very rare as an endangered species. The private jetty and pontoon on the property is a pleasant short walk to the waterfront on the Kerikeri Inlet, where you see the reflections of moored yachts. Bring your Kayak to explore the Bays.